This Traditional Chinese formula nourishes lung Yin energy and moistens the lungs. The Chines..
Chuan Xin Lian Wan �.. 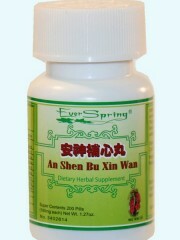 This Traditional Chinese herbal formula is used to clear away toxic heat. It is used for the common..
Du Huo Ji Sheng Wan .. This Traditional Chinese formula nourishes blood, invigorates Qi, expels wind, and removes dampness..
Er Chen Wan (The Two.. This Traditional Chinese formula promotes Qi flow to eliminate phlegm and regulates Qi flow to har.. This Traditional Chinese herbal formula is indicated for nourishing the kidney to subdue the hypera.. 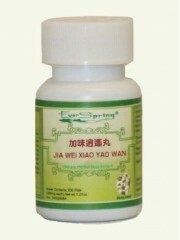 In Traditional Chinese medicine this herbal formula translates as Chlorella Combo Pills, which help..